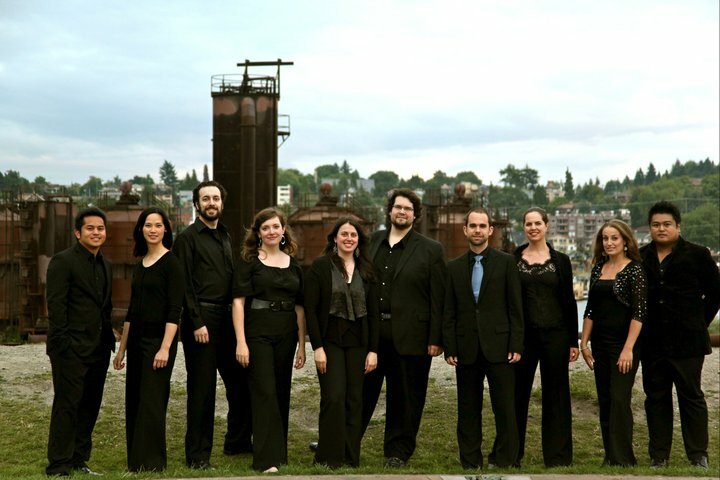 Seattle's Byrd Ensemble, who launch a weekly videocast of Compline on September 11. I’m devoting the next couple of posts to the Phos Hilaron, which is translated as “gladsome light” or “gladdening light”. It has been called the earliest hymn of the Christian church not taken from the Bible; it is mentioned in the Apostolic Constitutions, an early Christian document from the end of the fourth century. Kevin Siegfried, a member of the Compline Choir in Seattle from about 1996-2000, composed for us a setting of the Phos Hilaron. He set the first and third stanzas to a chantlike melody, but the section “Now as we come to the setting of the sun” is set to slow-moving block chords; and this section is heard again after the second chant section. For me, the slow chordal section seems to exist in a different world, where time seems to stand still. See what you think by listening to the podcast from the last time we sang Phos Hilaron earlier this summer (click the “Play” button — Kevin’s composition is right after the spoken words at the beginning of Compline). I’ve got great news to report: The Byrd Ensemble will be singing Compline EVERY SUNDAY starting this coming Sunday, September 11, at 7:30 p.m. PST, from St. Clement of Rome Episcopal Church in Seattle. They will still be doing a live videocast, and promise to archive their webcasts at their Compline site. This is really a first, as far as Compline choirs are concerned! Next blog will revisit Siegfried’s Phos Hilaron, and talk about a setting in Contemporary Christian style inspired by it.